With an escalating swelter in Berlin, we must admit there’s mostly one foodstuff on our mind. 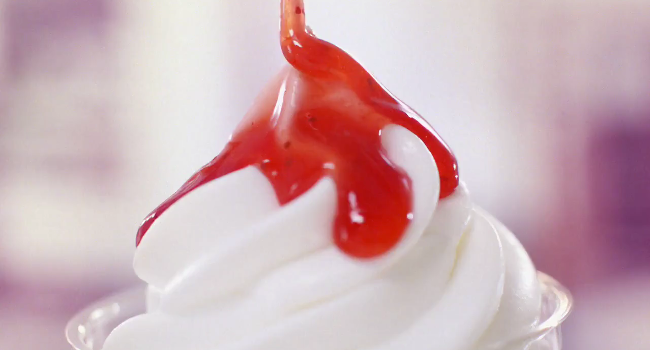 And McDonalds present it in all its mouth-watering glory: a closeup on its ice-cold ice cream McSundae, amid a kinetic, pastel-hued tour through all the places you could enjoy one this summer. Connecticut rockers The Roadrunners provide the tangy complement to the Super 8-tinted McSundae antics – deliciously fuzzed-up, gamey-eyed but goodhearted late-60s rock. Their 1966 single ‘L.U.V.’ has lashings of post-Kinks, pre-Summer of Love swagger and a suitably sweet hookline for these creamy treats. Placement Highlight: We found music for feature film “Mes Héros”!